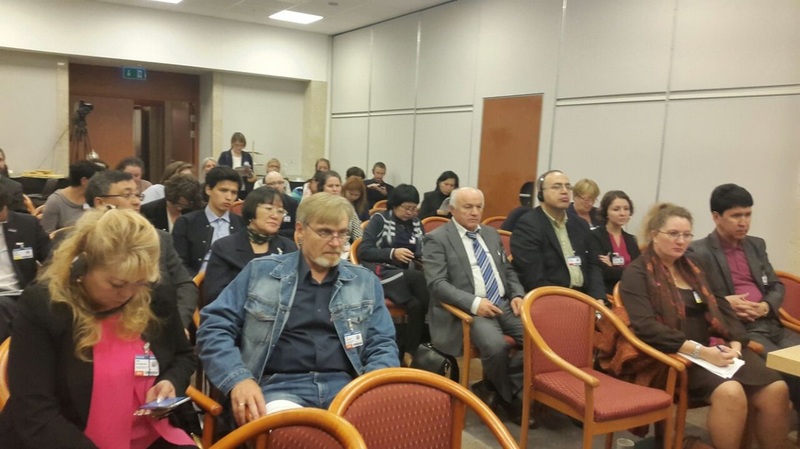 At a briefing held on 24 September 2014 at the OSCE Human Dimension Implementation Meeting (HDIM) in Warsaw, human rights defenders from a number of post-Soviet countries discussed the current assault on freedom of association in their region. 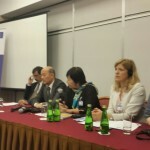 The event was moderated by Brigitte Dufour (International Parnership for Human Rights), while the speakers included Yevgeniy Zhovtis (Kazakhstan International Bureau for Human Rights and Rule of Law); Farid Tuhbatullin (Turkmen Initiative for Human Rights); Tolekan Ismailova (the Human Rights Movement Bir Duino-Kyrgyzstan); Elena Shakhova (Citizens Watch, Russia) and Khadija Ismayilova (Investigative journalist, Azerbaijan). Yevgeniy Zhovtis highlighted the trend of growing repression of NGOs that is currently seen in Kazakhstan and other parts of the post-Soviet region and that involves, among others, measures to restrict and control the activities of NGOs (such as through strict rules on registration and foreign funding of NGOs), as well as smear campaigns to portray independent groups as “fifth columns.” He noted that this trend reflects fear on the part of the authorities of so-called colour revolutions. Farid Tuhbatullin pointed out that Turkmenistan is something of an “anti-champion” in the region when it comes to freedom of association given the highly repressive policies of the authorities of this country. According to official statistics, only some 90 public associations are registered, and most of them are fully government-controlled. A new law on public associations that was adopted this May retains basic problematic provisions e.g. regarding registration of organizations. 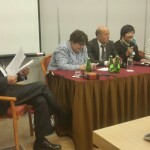 Tolekan Ismailova voiced concerns about growing pressure against NGOs in Kyrgyzstan, in spite of the stated democratic aspirations of its government. Two draft laws on “foreign agents” and “anti-LGBT propaganda” proposed by MEPs are examples of the negative influence of Russian policies. 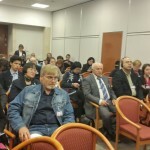 She drew attention to the case of imprisoned human rights defender Azimjan Askarov, which demonstrates the dangers of human rights defence also in this country. 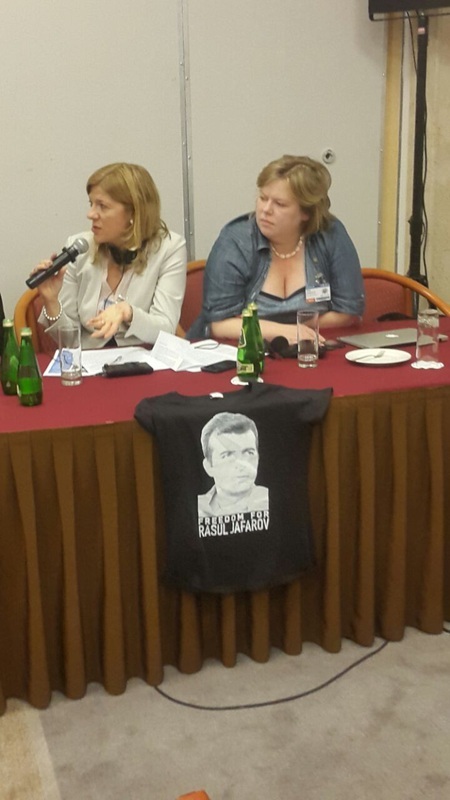 Elena Shakhova concluded that the situation of civil society in Russia now is more critical than ever. She noted that this is the result of a longer term development culminating in the implementation of the “foreign agents” law in the past year. So far 14 leading, independent NGOs have been listed as “foreign agents” and the overall number of NGOs has decreased by some 30%. She also recalled that the “foreign agents” law was adopted as part of a broader package of restrictive laws targeting civil society. Khadija Ismayilova drew attention to the widening campaign of the Azerbaijani authorities to silence independent NGOs and arrest and imprison human rights defenders, along with other critical voices. She emphasized that Azerbaijani legislation and practice in this area are inspired by the example set by the current Russian government. She also highlighted the plight of political prisoners, of whom there as of now are a total of 100, as documented by civil society activists. The presentations by the speakers were followed by an active, open discussion. Among others, in response to a question from the audience, the speakers detailed their views as to why attempts to label foreign-funded NGOs as “foreign agents” are misguided and illegitimate and aimed at stigmatizing and punishing inconvenient groups. Another matter that was discussed was how current international political developments, in particular Ukraine-Russia relations and the expansion of the Eurasian Economic Union impact the situation of civil society in the region. The question of harassment of human rights defenders who have fled their countries and now live in exile, as well as their family members back home was also brought up. When summing up, moderator Brigitte Dufour emphasized the importance of expressions of solidarity with NGOs and activists at risk in the post-Soviet region at this time, when the situation in countries like Turkmenistan and Uzbekistan shows no signs of improving and a serious deterioration is witnessed elsewhere. She expressed hope that this event had served this purpose, while also spotlighting alarming trends across the region that should be the focus of international action in support of civil society. 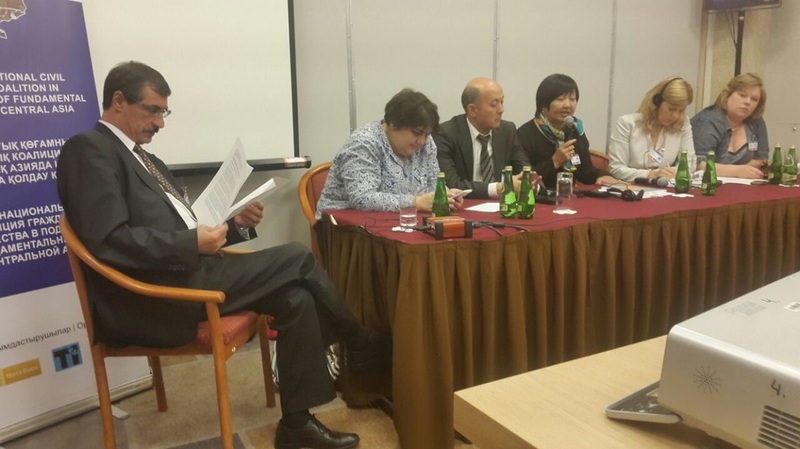 The briefing was organized in the framework of a project implemented jointly by Kazakhstan International Bureau for Human Rights and Rule of Law, Nota Bene, the Turkmen Initiative for Human Rights and International Partnership for Human Rights with support of the European Union. It was also coordinated with the Civic Solidarity Platform. 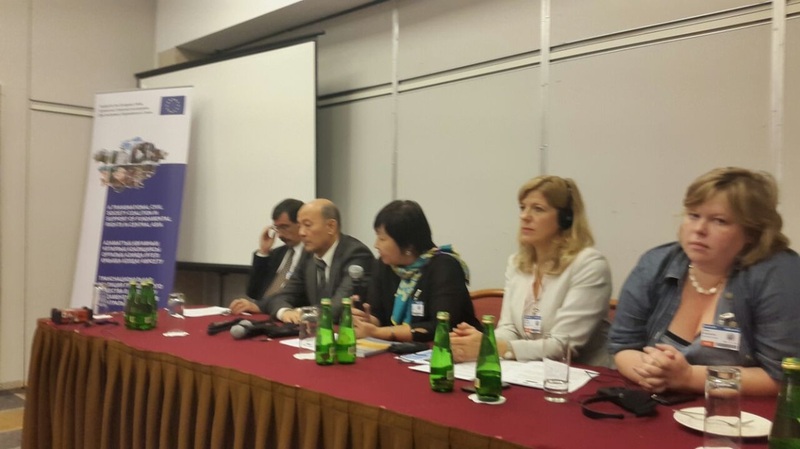 See also: HDIM Statement on current threats to human rights NGOs and defenders in Central Asia.